We are very proud of it as, from generation to generation, it portrays the great Italian tradition in the best way. It can be found, with its name and surname, in the menus of the most careful restaurants and on the shelves of the best delicatessen and wine shops all over the world. 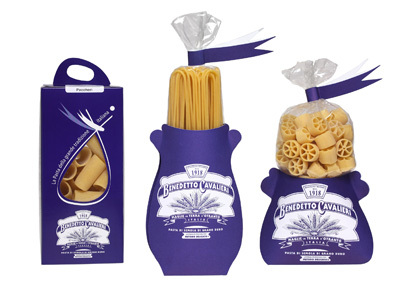 The gourmets appreciate so much Pasta Benedetto Cavalieri for the “excellent grain flavour and delightful chewiness” (Wine Spectator, Pasta Perfect). 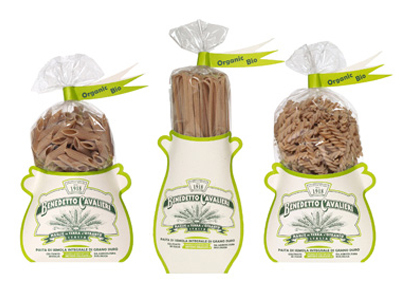 After years of meticulous studies and researches, in the fields and in the factory, at last the organic whole wheat pasta signed Benedetto Cavalieri! We have found the most suitable varieties of durum wheat, cultivated in fields with a special vocation for it, and skilfully manufactured with the ‘Delicate Method’, they give to our whole wheat pasta a good consistency while chewing and a strong taste of wheat.